At Aegis Dental of Carrollton, Texas, we take offering affordable, effective dental care very seriously. We want our patients to feel comfortable in our office and get the dentistry services they need without any unnecessary stress or anxiety. 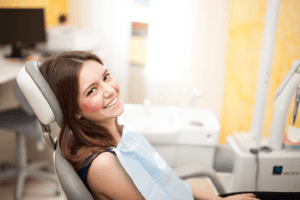 By processing and filing dental insurance claims for most providers, we make it easier for patients to the get the dentistry services they need within their budgets. In order to ensure patients receive the maximum amount of benefit coverage for dental care, we are in-network with many providers, including MetLife. If you have a MetLife dental insurance policy, please let one of our knowledgeable team members know when you call to schedule your first visit with our Carrollton dentistry team. We work with insurance providers on a daily basis, and we can help you make the most of your dental benefits from your very first trip to our Carrollton office. 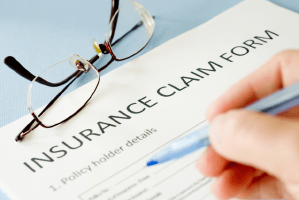 No two MetLife dental insurance policies are exactly the same, but because we are in-network with MetLife, our team members are familiar with the majority of their plans. That means we can usually provide accurate estimates of the out of pocket costs of care for even the most advanced treatment plans. In most cases, patients with MetLife coverage will receive between 80 and 100% coverage for their regular preventive dentistry appointments in our office. With these services almost completely covered by insurance, it can actually save you money to visit us more often. Keeping your dental checkup appointments every six months is also the easiest way to avoid the need for more advanced dentistry services that receive less coverage from MetLife. 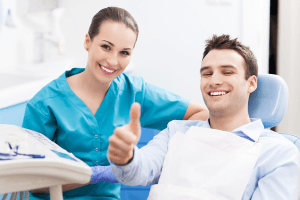 For instance, basic restorative treatments like tooth-colored fillings are typically covered between 70 and 80%, and the more advanced solutions like dental crowns or fixed bridges are usually only covered 50 to70%. MetLife, like other dental insurance providers, sets a maximum coverage amount for specific treatments as well as an annual maximum for coverage. Because we are in-network with MetLife, we have agreed to price our treatments within the maximum amount set by your insurer, so you are only ever responsible for the out of pocket percentage of treatment costs. We are also familiar with annual plan maximums, so we can partner with you to plan treatments to make the most of your annual coverage. When you call or visit our office with questions about MetLife benefits or other dental insurance coverage inquiries, you will likely be talking to Ariana, our front desk administrator and receptionist. Friendly and knowledgeable, Ariana can help you to understand your benefit plan, answer coverage questions, and walk you through specific areas of your treatment policy. We are always here to help you with your insurance coverage questions, so please don’t hesitate to reach out to Ariana or any of the dedicated team members at Aegis Dental to find out more.